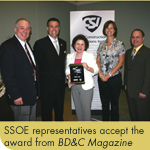 TOLEDO, Ohio – June 25 2007 – In recognition of tremendous growth, high employee retention and satisfaction levels, and escalating recruitment of new talent, SSOE has been named one of the nine “Best AEC (Architecture, Engineering and Construction) Firms to Work For” by Building Design & Construction Magazine. 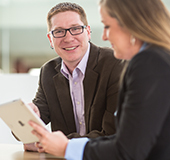 Since 2004, SSOE has grown significantly, including expanding its staff by 50 percent. 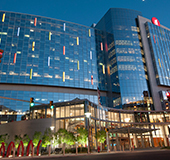 The firm has also added eight new offices in the last 3 years in new geographic markets and its revenue growth has topped 15 percent each of those years, including a 30 percent increase in 2006. 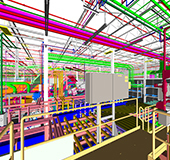 SSOE’s employee retention is another reason behind the Building Design & Construction Magazine honor. In 2006, the company retained 94 percent of its 750 employees – 17 percent higher than the overall U.S. average. Benefits enjoyed by SSOE employees include: flex-time options, a flex-benefits system allowing employees to buy and sell up to 40 hours of vacation time as well as apply unneeded coverage credits in one area to alternative coverage options, training spending that averages 15 percent higher than the industry average per staff member, 75 percent tuition reimbursement, and a 401(k) plan that matches 50 percent of employee contributions up to six percent. 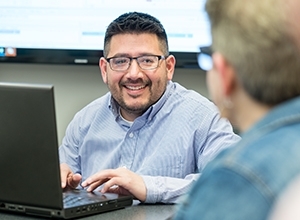 SSOE is active in recruiting new professionals to accommodate this growth, hiring an average of 100 new employees each year, with a goal of hiring 200 additional architects and engineers by the end of 2007. 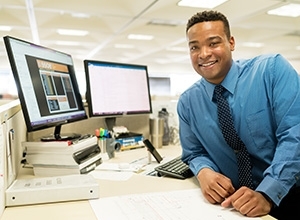 In order to accommodate this growth in a tight architecture and engineering labor market, SSOE was also recognized for it’s commitment to providing flexible working options such as part-time status and telecommuting to working parents who want to spend more time at home, retirees seeking to stay active in the professional environment, and employees whose spouses have relocated. 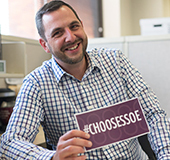 SSOE recently opened a new office in the Raleigh-Durham area and has expanded its Southwest U.S. hub in Phoenix and its three offices in Michigan. There are currently openings in Arizona, California, Illinois, Michigan, Minnesota, North Carolina, Ohio, Tennessee, Texas and Washington.